This report summarises the outcomes of the workshop on The potential for rugby league to connect Australia and Papua New Guinea. On 28 March 2017 the Lowy Institute hosted a workshop on The potential for rugby league to connect Australia and Papua New Guinea. This event was held under the auspices of the Aus-PNG Network, which works to enhance people-to-people links between Australia and Papua New Guinea. Sport is an area with great power to connect people and rugby league is the sport with the strongest existing links across PNG and Australia. It is also a sport with great potential to build new interest in PNG among Australians who may not have an existing connection to PNG but are passionate about rugby league. There is scope for the work that is already taking place in this space to be enhanced and leveraged to build more people-to-people connections as well as opportunity for new business initiatives in this space, such as rugby league tourism in PNG. The workshop comprised three main discussion sessions; Leveraging existing initiatives, Pathways to the professional level for Papua New Guineans, and Rugby league tourism. The first session explored the rugby league landscape in PNG and Australia and the existing connections, for example the success of the PNG Hunters and sports for development initiatives. In the second session, participants heard from the current and former PNG players present about their journeys in the sport in PNG, Australia and internationally, discussing how to improve the support mechanisms for players and increase opportunities for Papua New Guinean coaches and sports administrators. The third session looked at the prospects for rugby league tourism in PNG, with a particular focus on the 2017 Rugby League World Cup games to be held in Port Moresby. The Lowy Institute would like to thank the Department of Foreign Affairs and Trade for their continuing support for the Aus-PNG Network. Many of the people who attended on the day had corresponded via email but had never met each other in person, and found the networking opportunity extremely valuable. Attendees should reconvene in future and the rugby league community more broadly should encourage cross-sectoral collaboration and dialogue. Until Papua New Guinea develops a National Sports Policy, rugby league (through PNGRFL) should look to engage with other sports and sectors in a more strategic fashion via existing bodies such as the PNG Sports Foundation and PNG Olympic Committee. This strategy should consider how to take advantage of the 2017 World Cup and other opportunities including; developing tourism packages around regular Hunters games, facilitating Kokoda treks for elite athletes, and engaging Papua New Guinean athletes as ambassadors for PNG tourism. More should be done to educate athletes and sports managers about the visa requirements for entry to Australia to ensure the administrative burden does not lead to missed opportunities for Papua New Guinean athletes. Organisations that collaborate with rugby league players should ensure that the players chosen are appropriate ambassadors for their cause and that they are adequately prepared to take on that role. Explore opportunities to increase high performance support services and personal development programs for PNG’s elite rugby league teams (PNG Kumuls, PNG women’s national team, and PNG Hunters), especially in the lead-up to the 2017 Rugby League World Cups (men’s and women’s). Developing and strengthening capacity building and personal development programs for players should be a focus for rugby league at all levels. There should be genuine and sustained commitment to pastoral care from organisations bringing Papua New Guinean athletes to Australia. There should be ongoing inclusion of female players, and support for women’s rugby league, especially in the lead up to the 2017 Women’s Rugby League World Cup. The relevant bodies should consider how they can support increased opportunities for Papua New Guinean players in Australia. The opportunities for a well-paying career in rugby league are far greater in Australia. Allowing more Papua New Guineans to progress within the Australian system will strengthen their skills and have positive flow on effects for the sporting landscape and ecosystems in PNG, meaning that more Papua New Guineans who want to have a career in rugby league can achieve that without having to leave PNG. The gap between the high number of Pacific rugby league players and the low number of Pacific coaches and sports administrators in Australia should be addressed, for example through increased opportunities for short training courses and mentoring programs for Papua New Guineans and Pacific Islanders in Australia. Rugby league is followed passionately in both Australia and Papua New Guinea, where it is the national sport. The game plays an important role in the bilateral relationship and contributes to the people-to-people links between our two countries. However, like many sectors, many of these organisations and programs operate in silos and there are many existing initiatives that could be better leveraged. This workshop brought together a broad range of representatives from the whole rugby league community in both countries to explore the unmatched potential of the sport for further enhancing the relationship and building new people-to-people connections. It is clear that there is support for the sport’s development across the two countries, with the PNG Hunters making a notable impact in the Queensland Rugby League Intrust Super Cup competition and acting as excellent ambassadors for their country. Rugby league is also being used as a development tool in PNG to promote healthy lifestyles and assist young people to learn leadership skills. However, despite the fact that more than 40% of the Australian NRL’s players are now of Pacific Islands decent, there are hardly any Papua New Guineans playing at the professional level in Australia. There are also substantial opportunities for two-way tourism to be developed around rugby league, particularly with the World Cup coming up in October and November of this year. This workshop provided participants with the opportunity to explore these ideas in greater depth, make new connections and build their understanding of each other’s work. A diverse range of people attended, including; rugby league administrators, coaches, players, journalists, tourism professionals and researchers, along with representatives of the private sector, civil society and governments of both countries. A full list of participants is included in the annexe of this document, along with a photograph. Papua New Guinea is the only country in the world where rugby league is the national sport. The passion for rugby league in PNG is unrivalled, and both the NRL and local competitions are closely followed by the media and fans. There are many current and future opportunities for rugby league to connect Australia and Papua New Guinea, and be of mutual benefit to people from both nations. A map of the existing relevant initiatives can be found in the annex. Unfortunately, these programs and initiatives often work in individual silos, meaning that there can be duplication of programs and missed opportunities for collaboration. Participants proposed that there are essentially two ways to use rugby league, and sport in general, as a tool for broader social change. The first is to use the sport’s popularity to communicate messages about social issues and wellbeing to the public for example sport for development programs like League Bilong Laif and Equal Playing Field. The second is through partnerships between individual players or clubs and advocacy initiatives. Specialist organisations with expertise in the particular issue being targeted can use the star power of individual players to promote their campaigns and have a deeper impact. This may place a capacity burden on players and rugby league structures, but the sport is well placed to have a wide impact and can have a legitimate voice. There are still questions around how rugby league fits into a National Sports Policy in PNG and in turn how sports should engage with other government departments and initiatives. Nevertheless, opportunities remain for positive collaboration with areas such as health and tourism. Participants suggested that a National Sports Policy would guide these efforts and provide a mandate for sport’s engagement with social issues. The link between culture and rugby league in PNG and the rest of the Pacific is a powerful force. For players, returning to and connecting to where they are from can help them stay focused on why they play, keep them grounded, and connect them to their identity. Continuing this after playing careers end is also important. In Australia, there is often a lack of understanding when players of Pacific heritage identify with more than one country. Pacific players that now play for Australia often still feel like representatives of their home nations, and want to have a positive impact on their communities in the region. A gendered divide still exists – female rugby league players receive less media attention, but there is growing support for female players and there is massive potential for women’s teams to succeed at international levels. There are opportunities for sports diplomacy in both directions but the PNG Hunters are very well-placed to act as ambassadors for PNG in Australia. The Hunters play in the Queensland Rugby League’s Intrust Super Cup, and are self-funded. Since the team joined the competition in 2014 they have been very positive representatives of PNG in Australia. The success of the Hunters goes well beyond winning games. Their success promotes not only the QRL, but also the game and PNG. Crowd numbers for games in Queensland increase by 10 – 15% when the Hunters play. Outside of playing, the team makes significant efforts to be part of the community and be role models. The team wants to have a larger presence in Australia and contribute to increasing Australia’s understanding of PNG. Upskilling, capacity building, and education is crucial to this. There are varying education levels across the team, with some players having only finished primary school, and some with tertiary degrees. Continuing to develop relevant programs suited to the range of needs of the players will be essential to their on-field and off-field development. The Hunters players cannot be expected to be the only positive ambassadors for PNG because of their time constraints. These high profile players have demanding training and playing schedules but there are creative ways around this. For example, scheduled team activities could be filmed, with players participating in brief media interviews or promotion pieces for public health and social issues or tourism campaigns for PNG which could then be distributed to reach a broader audience. Sport for development programs are taking off in PNG and the region. These programs need to be thoughtful and considered when they collaborate with rugby league clubs and players. If organisations want players to support their cause, they need to ensure they are asking the right people. For example, problems can arise if an education program targets a player who has not had the opportunity to finish primary school. The same goes for players asked to speak out against domestic violence, who may have been personally involved in domestic violence incidents. Instances where these conflicts of interest are not detected limit the efficacy of these programs and create disillusionment for both players and the public. Communication between organisations is an issue, as there are many positive programs which are not aware of others working in the same space, or who do not get the opportunity to meet and collaborate. These conversations need to include government bodies. It is important not to draw lines between industries and organisations. The sector can progress even further by pooling ideas and talents and preventing duplication. People-to-people connections will be critical to promoting mutual interests and leveraging existing programs. Effective communication can fill this gap and create better outcomes to strengthen the Australia-Papua New Guinea rugby league relationship. Participants acknowledged that the opportunities for a well-paying career in rugby league are greater in Australia than Papua New Guinea. All those past players present at the workshop began their rugby league careers in the Australian system. Providing Papua New Guinean players with more opportunities in Australia will strengthen their skills and have positive flow on effects for the sporting landscape and ecosystems in PNG, meaning that more Papua New Guineans who want to have a career in rugby league can achieve that without having to leave PNG. Opportunities for Papua New Guinean players in Australia are expanding, as players move into other clubs in the Queensland Cup and upwards into clubs in the National Rugby League. However, despite over 40% of players in the NRL being of Pacific heritage only a very small portion of that group is from PNG. The Australian NRL has developed the Pacific Strategy in response to the unique needs of these players. It is positioned for implementation at the end of 2017. The Pacific Strategy’s strategic facets are personal and professional capacity building; global footprint expansion; pathways to the Pacific pipeline; grassroots participation; and humanitarian regional support. 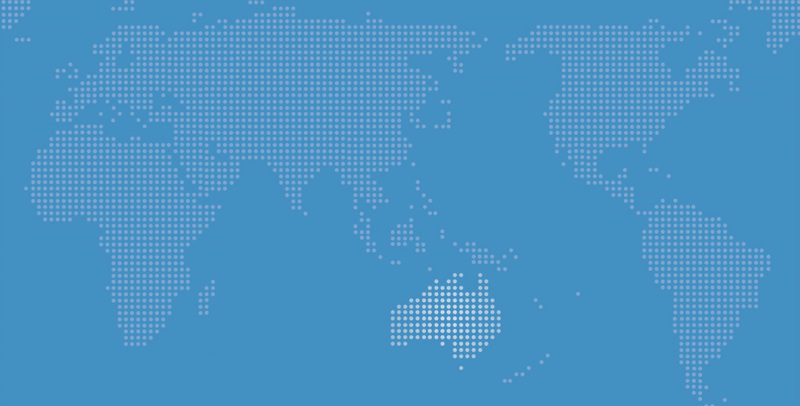 It takes a trilateral lens – Australia, New Zealand, and the Pacific. It also maintains a focus on the moral obligation for the game to go back and support education, social and community outcomes in the Pacific. Neglecting to provide skills development and capacity building to players, for example second career training, before they leave the system would be a failure of the system. Building capacity without losing authenticity and identity is important to structure into these programs, as players don’t want to lose those values, cultural practices, identities, and faith. On the field, the Pacific Test created in 2013 was a great success and has gone on to become a regular fixture. This international tournament will continue to be broadcast around the world to a growing audience. There are also discussions about integrating a women’s competition into the fixture. These inter-Pacific matches are an effective way to showcase Papua New Guinean players on the international stage. For individual players, the pathways to playing in Australia are shifting, as the Hunters have created new options for Papua New Guinean players to come to Australia and then transfer to different state clubs and the NRL. These pathways are supported to some extent by the existing framework. Rugby league in Papua New Guinea can be sustainable, with proper management and growth. However, it is generally acknowledged that Papua New Guinean players can and should make use of the Australian system, as this will benefit both the player, clubs, and communities because they will return to PNG with experience of playing in an Australian high-performance environment and with skills and learnings that they can share with teammates and clubs in PNG. New Zealand’s Pacific migration system is a significant contributing factor to the prevalence of Polynesian players in the Australian NRL. As the Lowy Institute’s Jonathan Pryke has written, “many Polynesian countries have migration access to New Zealand, and thus Australia via our open border policy with New Zealand.” Australia has no comparable system for Papua New Guineans. It is a challenge for an Australian team to employ Papua New Guinean players despite the potential benefits for both parties. The rugby league bodies in Australia must also recognise these barriers for Papua New Guinean players, and take a holistic long-term view to their Pacific engagement strategies and build relationships with communities that the players and clubs are connected to in PNG. There is also a problematic gap between the high number of Pacific players, and the low number of Pacific coaches and administrators in Australia – the latter sitting at approximately 2%. There are programs in certain NRL clubs to address this gap, for example through giving players some pathways to sports careers after they retire from playing. However, Pacific players are often already under skilled, and have significant ground to cover in comparison to players who were previously afforded more education and skill development opportunities. Participants acknowledged the importance of promoting alternative professional pathways for the off-field side of sport, such as coaching, high performance management, sports science, nutrition, administration, business and community development. There are some coaching accreditation programs for PNG coaches to come to Australia to participate in training programs and in 2017, for the first time, NRL coaching certificate courses are being delivered in PNG. Coach education can have further reach than supporting players alone because it has flow on effects in their community when they return to PNG. 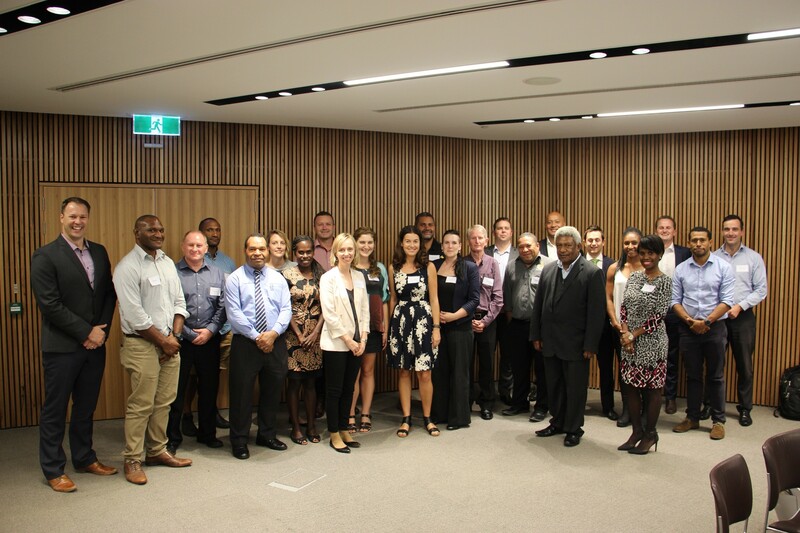 The Australian NRL tries to create opportunities for PNG staff to come to Australia to make new professional relationships, and build their skills further, through opportunities including the DFAT-supported Australia Awards program. The participants acknowledged that in PNG there is a need for a junior rugby league framework, both in clubs and schools. The PNGRFL is currently trialling a system for schools, but there are issues around safety, capacity, managing administration, and pathways to the elite level. Some of this could be resolved by setting up a department dedicated to managing the implementation and delivery of the junior framework that is included in the broader PNGRFL system. However, the existing structures are not ready for this at present. This development should be supported by developing clear and distinct strategies and goals, and ensuring people with the right skills are employed at all levels of the game. This will have positive effects in the local community because players and administrators will be able to establish more effective outreach activities. Targeting youth is essential to growing the numbers of professional Papua New Guinean players. Participants agreed that for the majority of players to reach the elite level they need to be in the Australian system by the age of 16 or 17. For Papua New Guineans this requires access to financial resources as well as education to successfully navigate the bureaucracy concerning things like contracts and visas. The administration requirements for a young Papua New Guinean player to reach Australia can be very challenging, for example acquiring the appropriate visa and insurance. Refer to the annex for further visa information. Another issue is the pastoral care of Papua New Guinean players once they arrive in Australia, as is the case with players from other parts of the region and rural Australia, who need to adjust to a new place and culture. This needs to be carefully considered to maintain players’ mental health and wellbeing. Rugby league tourism has huge potential in Papua New Guinea. In 2017 PNG will host three Rugby League World Cup games and also regularly hosts PNG Hunters home games for the Queensland Cup. Rugby league tourism can spark new interest in PNG among Australian rugby league fans to build new people-to-people links between the two countries, while also supporting PNG’s economic development. Australian fans with a taste for adventure would relish the chance to attend a game in PNG alongside visiting the tourist sites. Australians make up 55% of tourism to Papua New Guinea however of the 4.7 million Australians who travel per year, only 24 000 go to Papua New Guinea. The challenges for the tourism industry in Papua New Guinea are widely-acknowledged, these include the high cost of flights and accommodation and the negative media attention PNG’s security problems attract in Australia. However, PNG is home to world class natural attractions, incredible bio-diversity and unique cultural experiences. It is also now easier for Australian tourists to visit Papua New Guinea as they can again access a short-term tourist visa on arrival. In October and November of this year three games will be held in Port Moresby for the Rugby League World Cup, presenting a unique opportunity to build the rugby league tourism model in PNG. The World Cup will attract a lot of people who have not thought about visiting Papua New Guinea before. Ensuring visitors have a good experience has the potential to change the perceptions of PNG in Australia. Effective tourism management will be key to achieving this, and directing people to wholesalers will be important. Rugby league can also promote Papua New Guinea through broadcast media. The World Cup will have over 500 000 viewers in Australia and New Zealand alone, and international visibility will increase with broadcasting through Sky Sports and Premier Sports. 2017 is the 75th anniversary of the Kokoda Campaign, providing an excellent opportunity for PNG’s tourism sector to partner with the NRL. Recently, the hosts of the AFL Footy Show walked the track promoting the experience to their large audience. A similar campaign featuring female athletes demonstrated that Kokoda is also for women. A similar program involving NRL stars, teams, or presenters would be very effective in this 75th anniversary year. Australian NRL teams could also walk the track as team bonding and training exercises, which some AFL teams have done. Participants also discussed the potential for Papua New Guinean rugby league players to act as ambassadors for PNG tourism. However as noted during the discussion around using players in social issue campaigns, player ambassadors would need to be educated about PNG’s tourism products. There are also many Papua New Guineans who wish to travel to Australia to attend rugby league games. Air Niugini offers packages to meet this demand, which is likely to increase in Far North Queensland with the recent addition of direct flights from Port Moresby to Townsville. The Papua New Guinea Rugby Football League (PNGRFL) is the governing body of the sport in PNG. The Kumuls are the men’s national team, who play in international competitions including the NRL-run annual Pacific Test and the Rugby league World Cup. The Raggianas are the women’s national team, debuting in the 2017 Women’s World Cup. The PNG Hunters are a Port Moresby-based club side playing in Australia’s second-tier Queensland Cup Competition. The Digicel Cup is a nationwide, franchised-based, top-tier competition in PNG. There are several provincial leagues in PNG including in Port Moresby, Lae, Goroka, Hagen, and Kokopo. Some clubs run men’s, women’s and junior teams. The Kangaroos are the men’s national team, and play in international competitions including the Anzac Test and the Rugby League World Cup. They occasionally field PNG-born or PNG heritage players. The Jillaroos are the women’s national team who play in international competitions including against New Zealand and in the Women’s World Cup. They currently have two Papua New Guinean players, Amelia Kuk and Jenni-Sue Hoepper. The annual mid-season Pacific Test in May in Australia. The Rugby League World Cup (both men’s and women’s competitions) will be held from October to December in 2017. The Commonwealth 9s will be in February 2018. There is an international window at the end of each year. League Bilong Laif is a DFAT-funded, NRL-run, sport for development program in PNG. It runs school and community based activities that leverage the popularity of rugby league to achieve development outcomes. These include engagement with education, respectful behaviour, health and wellbeing, gender equality, and others. The Prime Minister’s XIII game is a DFAT-supported annual match between PNG and Australian select sides. It includes a sports diplomacy component to address gender-based violence and other development outcomes. There is a possibility that a women’s match will be added in 2017. Equal Playing Field is a DFAT-funded sport for development program that is run independently of rugby league organisations. It runs school and community-based activities that use sports-related activities to promote respectful behaviour. There is potential for further sports diplomacy activities around Rugby League World Cup pool matches in Port Moresby (held in October and November 2017). There is also potential for sports diplomacy activities around APEC in Port Moresby (held in November 2018). Amateur PNG rugby league teams that are seeking to holiday in Australia to play a number of friendly fixtures against Australian amateur rugby league clubs would be considered to be sporting tourists, and can apply for a Tourist (Subclass 600) visa. You must not be paid for participating in the event, or for supporting an amateur player or team. However, you may be reimbursed for reasonable expenses such as accommodation and meals. Amateur players may generally receive small amounts of prize money for their participation in the event. Spectators and family members of amateur players may also be eligible for a Visitor visa. PNG rugby league teams that are seeking to play in a rugby league event in Australia can apply for a Temporary Activity (subclass 408) visa in the Invited Participant stream. This allows for multiple entry, and stay over a period of three months to compete in an event, or events, at the invitation of the Australian event organiser(s). If there are fully professional PNG rugby league teams that are seeking to participate in a national level rugby league competition (including the NSW Cup and the Queensland Cup competitions), they may be eligible to apply for a Short Stay Specialist (subclass 400) visa, which can allow for multiple entry and stay during a period of 6 months. PNG Rugby League players seeking to play for an Australian club must be of a high standard – endorsed by the Australian National Rugby League as being able to play at the Australian national level (being NRL, Queensland Cup and NSW Cup standard). The endorsed player is able to be sponsored under the Temporary Activity (subclass 408) visa for a full sporting season to play as a “club professional” for an Australian local or regional rugby league club. The endorsed player is also able to be sponsored to play for a national level club under the Temporary Activity visa if the payments the player receives are insufficient for them to be considered as a fully-professional player. A PNG rugby league player who is applying for a Temporary Activity visa must: demonstrate they have access to adequate means of support for their stay – this is normally provided by the sponsoring club as contractual payments and may include provision of other means of support such as accommodation. It is important to understand that this is not a general work visa – the rugby player is unable to take on any work that is not playing or coaching of rugby league. As an alternative to the work restrictions that apply to the Temporary Activity visa, if the PNG Rugby League Player is a full professional with a contract to play for a national-level team, then they may apply for a Short Stay Specialist (subclass 400) visa, or, for multiple seasons, they may apply for a Temporary Work (Skilled) visa (subclass 457). These visa arrangements treat the player as a full professional – they must be highly skilled and be receiving a full-time remuneration package in excess of $53,900 per annum. As a professional, these visas allow the rugby league player to engage more broadly in work activities for their sponsor outside of rugby league, for example, promotions and marketing. There is no visa pathway that allows a PNG rugby league player who is below the national level standard to play for an Australian team in an Australian local or regional competition. The Temporary Activity (subclass 408) visa allows for sports trainees to enter Australia for training. If the training is of short duration (less than three months), then the trainee can be considered under the short stay Invited Participant stream. The Department must be satisfied that the rugby league training is a genuine training activity, and not a cover for the visa holder to join an Australia rugby league club and play in local or regional sporting competitions. If the training opportunity is of long duration (more than three months and up to two years), then the trainee must provide evidence they are competing at the Australian national level of their sport, or have the demonstrated potential to compete at this level. The training organisation must have an international reputation and cannot be a local or regional sporting club. Training must be full-time (including physical recovery). that the applicant meets health and character requirements.